​​ Rest a sweet potato on the rim of a glass of water by inserting 4 toothpicks around the middle. The bottom (pointed end) of the potato needs to always be immersed in the water. Set on a windowsill that gets some sun, and in a couple of weeks roots will form and leaves will sprout at the top. ​​ The roots are the part of a plant that takes ”nourishment” (water and minerals) out of the ground to help the plant grow. They also can hold the plant in the ground. There are thicker toots and thinner roots. Do you see any leaves growing on them? Can you predict what might happen if the potato was not touching the water? Let’s try it. How about if we put the potato in a dark closet out of the sun? Let’s try it. Can you point out some ways that plants and animals are different? Similar? Make a root vegetable soup in some beef or chicken broth. Draw a diagram of the potato roots growing in the glass, while looking at it. Label it. (Little ones can do this with help). 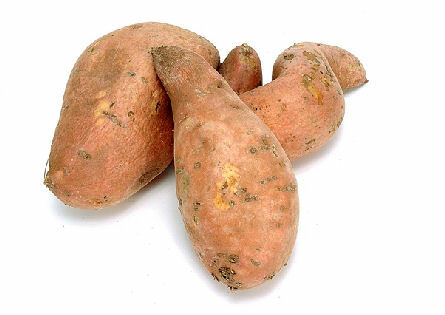 Grow a carrot top the same way as the sweet potato. This topic might lead into an interest in other parts of a plant; kinds of leaves or flowers; how other organisms take in food; a study of plant-like organisms, such as mosses, fungi and algae.